Otto is on the cusp of walking. He can stand unaided and will walk around the room, but only while holding on to or touching something, even a wall or cupboard. Today he used his walker wagon to walk out and collect parcels from our postal worker. It has made me think about his journey and the ways we have supported him. Here are a few things that many Montessori parents do and don't do in relation to their child learning to walk. Provide low furniture for the child to use unsupported including low/infant shelving, low table and chair, low stools, ottomans. Provide an environment that promotes free movement, an environment of 'yes' where the infant is free to move from birth. Provide free movement in an outdoor space and opportunity to crawl up and down stairs where and when available. May provide a baby walker wagon for the child to use independently, we use the Radio Flyer. May provide a low bar and mirror for the child to pull up on. Provide clothing that supports free movement (often long dresses or tight stiff clothing can restrict movement of the legs and knees) and allow free movement with as much time as possible with bare feet. Use baby jumpers or baby walkers that the child cannot use independently. Use rockers, bouncers that restrict free movement from birth. Support the infant by the hands above the head to encourage walking. Helping your baby learn how to walk at Nduoma. Montessori Movement: Crawling to Walking at Feeding the Soil. "More than 230,000 children younger than 15 months were treated in emergency rooms for injuries incurred while using infant walkers from 1990 to 2014." - Don't Use Infant Walkers at The New York Times. "When we hold the child's hands to help him walk ahead of his optimum time we are giving a subtle message that we are not satisfied with his own timetable and abilities, or that we want him to hurry up. This can make a child frustrated at his own attempts. It is better just to wait, to watch, to enjoy the unfolding unique growth of the child as he follows his inner guide. Carrying a child for too long during the day can make her dependent on an adult, and dissatisfied with her own efforts, to get around and to observe the world." - The First Year - Crawling, Pulling Up, Standing at Micael Olaf. "It is important to have many safe places for the child to pull up. It can be a laundry basket large enough to be supportive, an ottoman, a low shelf, a stool, the edge of a stuffed chair or sofa. 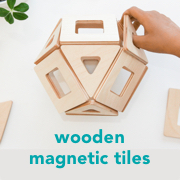 With these possibilities the child can decide when and for how long he desires to work on this skill. He can grow in confidence and know that his attempts are valued by those around him. With this kind of preparation of the environment, instead of teaching the child to pull up only with the help of the adult, the child gains the confidence he needs." 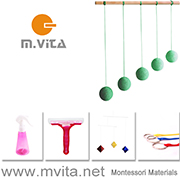 Montessori Child Development Stages: Age 1-2 Years+ at Michael Olaf. Image credit: The Absorbent Mind by Maria Montessori.